I really liked this film, particularly for the incredible authenticity of the period drama and its hauntingly beautiful atmosphere. It was like being transported by a time machine to another era, which is what a historical period setting is supposed to do. However, I must disagree with you on two key things: (1) I would absolutely describe this film as a “chore” to sit through in that it is not fun, pleasant, or comfortable to watch in any sense of those words. My girlfriend, her friend, and I watched this in theatres and my significant other was in complete tears by the time we got to the whipping scene, and for good reason. That’s not to say it’s bad in any way, but I totally would not recommend this film to anyone not wanting to experience “art for art’s sake” or as a strictly historical educational tool. (2) I would absolutely put this in the same class as ‘Passion of the Christ’ (but not ‘Schindler’s List’) for another reason: It’s main character. 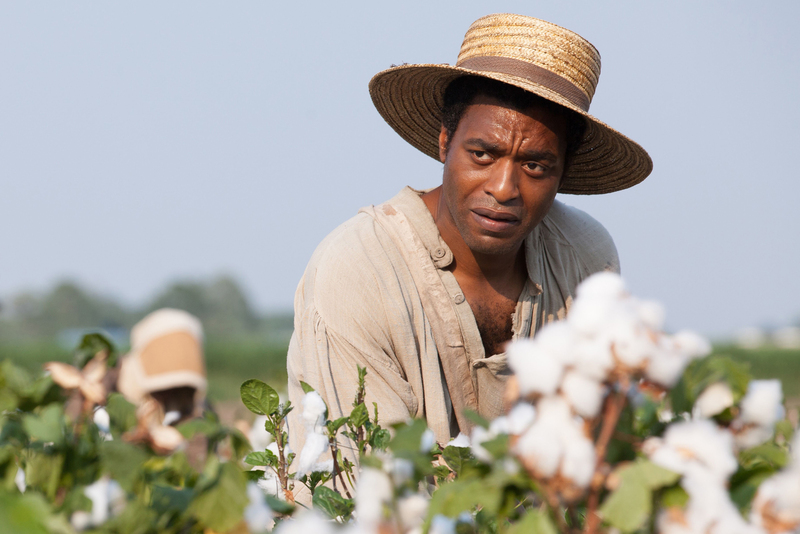 I actually didn’t care for Ejiofer’s performance as Solomon Northup at all and it was the only part of the film I didn’t like. Much like with Jesus in PotC and supposedly Louis Zamperini in this year’s ‘Unbroken,’ Solomon didn’t seem to have much of a character or arc to him at all. He was just the “suffering object” of the film, the human punching back for all the human rights abuses that the film was commenting on. I mean, I felt really sorry for him (as I said in my own review, how could one not? ), but to me he just didn’t seem like much of an interesting character beyond being a vassal through we which we could experience the evils of slavery as people who (like Northup) were unaccustomed to it. For my part, I need something more in a protagonist than just hardship, and I really don’t care for Ejiofor. I’ve started noticing him in other films I’d previously watched prior to ’12 Years’ now that I recognize him (e.g. American Gangster ), and I’m not too impressed with those performances either. He’s a pass in my book. Thanks for your comments. I always appreciate people stopping by. As for your first point, I had a different experience. Yes, I was incredibly moved and the whipping scene wad brutal, for sure, but I didn’t think it unwarranted as I did in POTC. Unwarranted in its lengthiness in Passion. It just went on and on and on and I felt it was just over-cooked. I get it, there was suffering but why 10 or 15 minutes of it when it would the point is noted very early on. 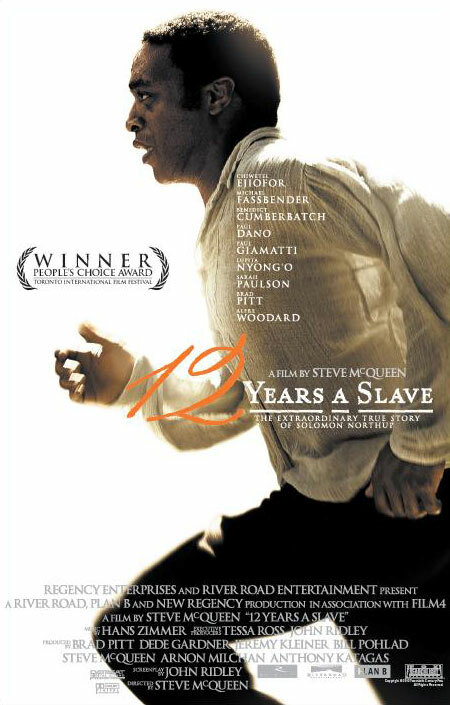 In 12 Years it showed the sheer brutality and was horrible but I felt much more connected emotionally and it didn’t seem too much. It was earned by the journey and consequently was bound to bring a teae or seven to the audience. I love that films emotionally move me. It’s what hooks me but it can’t be obvious,it has to be earned. To surmise, I just got on board with the film from the off and was emotionally engaged in the narrative. I have always loved Chiwetel’s work, he is an actor of depth and subtlety. What I loved about his Northup was that the actor never got in the way of the scene. He was so present yet fluid, if that makes any sense. McConnaughey was all over every scene in Dallas Buyer’s Club (which I mention because he won the Oscar over Ejiofor). He couldn’t allow the scenes to happen, it was like he sucked the air out of the room every time he had screen time and Chiwetel did the opposite, he was always there for the other actors in the scene. A lot of it is down to personal taste, which I love. It’s what allows debate and conversation. I love that you took the time to articulate your absolutely valid thoughts and feelings and share them with me. I will be heading over to your site soon. It looks like there’s a cornucopia of info there. Drop by and comment any time.